Publication CHOREOGRAPHIC JOURNAL: seeing / vidjeti, by choreographer Marjana Krajač and dramaturg Zee Hartmann, was introduced at the Theatre + Dance Department of the University of Hawaii at Manoa on 4th of October 2018 at 10:30 h as a part of the guest-class for the BA students of the Department. We talked about the various backgrounds of choreographic becoming, transitions from dance to choreography and diverse focuses of attention within the choreographic scope. 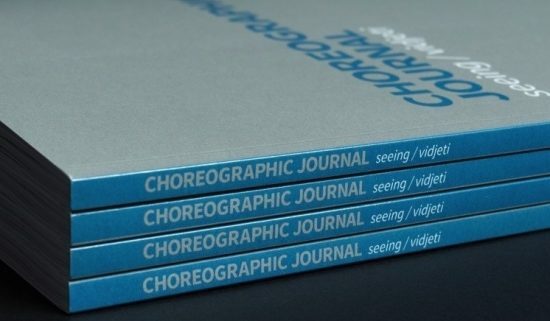 Published in August 2018, CHOREOGRAPHIC JOURNAL: seeing / vidjeti, by choreographer Marjana Krajac and dramaturg Zee Hartmann, is a collection of essays about the choreographic process, its reflections and intellectual repercussions. Stylistically at the intersection of journaling, theory, pragmatic approaches to the artistic process and self-reflexive critical thinking, this collection of texts points toward a fresh possibility in dance writing by working choreographers.